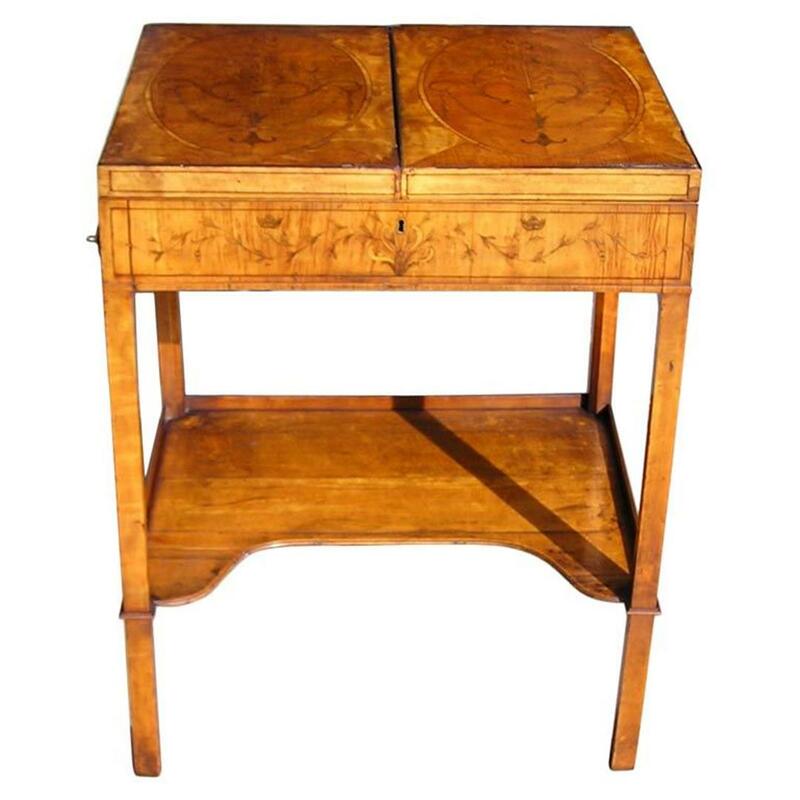 English Satinwood ladies dressing table with inlaid bellflower and floral top. The table has ebony string inlaid interior, original mirror & nickel silver cosmetic bottles. The interior has fitted individual compartments with a lower shelf terminating on cuffed tapered legs.